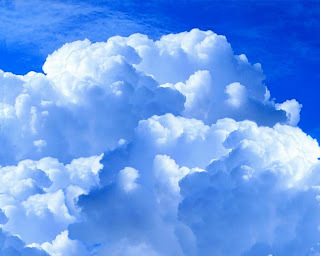 Home » 1 » PARKASH SINGH BADAL A RAIN LADEN OR A DRY CLOUD? PARKASH SINGH BADAL A RAIN LADEN OR A DRY CLOUD? A. Surely it is a rare and fortuitous combination of circumstances which has neither happened nor will happen again. And if now Mr. Badal fails to resolve Punjab's outstanding Problems like territorial disputes, river-water problems etc. which have caused unrest and bitterness and have dissipated and drained Punjab’s constructive energy from time to time, he would be classed as a monumental failure and the people of the state may perhaps never forget it and forgive it. 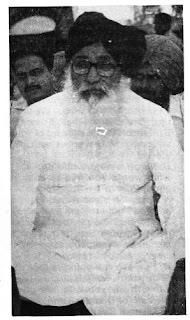 He has today emerged as the undisputed leader of Punjab and has initiated the noble cause of bringing the two communities together. He is gifted with rare innate wisdom, an uncanny insight into men and matters and has learnt a lot from experience. And in the favourable weather that surrounds us, there flashs the silver lining of hope but would it be followed by a spell of refreshing showers which woud leave this land enriched and improved or the?ain-laden clouds would drift away without giving the life-rejuvenating downpour? This is the main question today. NONIKA SINGH asks an array of pertinent and penetrating questions and the Chief Minister answers them with disarming simplicity and d the sincerity and sang-froid of a man who knows his job and is out to do it. When the Akalis notched' up a victory way back on May 27,1995 at Gidderbaha a keenly contested bye election which had been translated into a referendum of sorts many a poll pundit had prophesied the return of the Akalis. And a year and a few months later the prediction proved to be only unbelievably true. Even those who could foresee the Akalis knocking the doors of power hadn't imagined a victory of this magnitude. On February 7, the election results revealed that the Akal/BJP combine has romped home with a massive mandate winning 93 seats in the 117 member assembly. 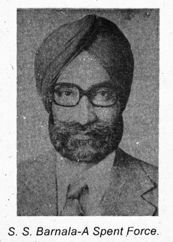 The man who made it all possible leading the Akalis out of ignominy to a position of great prestige and power is indisputably and undeniably Parkash Singh Badal, who had last tasted Power 17 years ago. A graduate of F C. College, Lahore, Badal hails from the Malwa region of Punjab. His tryst with politics or more pertinently Akali politics began four decades ago as a Sarpanch followed by several Positions as Chairman of Block Samitis etc. Today he wears the mantle of Chief Ministership for the third time. Badal has not only been in and out of power but also in and out of prisons a number of times. Without a twinge of regret he reminisces about his period of struggle call of duty and avers, "Perhaps I am the only politician who was jailed for such a Iong time, not for any crime but for political reasons". Close insiders assess him as the 'quintessential public man', a full-time politician whose private face just doesn't exist. Little wonder that during the interview not once, except when vehemently defending the entry of his relatives into politics, does this man of the masses-his affluent status notwithstanding-let his private self reveal. ln a shrewd and farsighted political move by aligning with the BJP, Badal has silenced the Hindu voter of Punjab who has all along viewed the Akali party (ever since its inception in 1921) with suspicion. For the man in the street, Badal epitomises harmony a man who has been able to control dissidents, quell revolt and marginalize extreme factors. 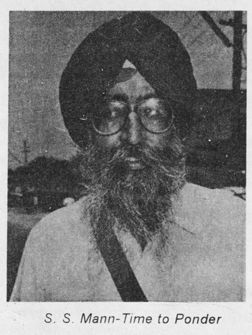 The confidence he inspires amongst people can be gauged from this after the recent bomb explosion at Jalandhar, when someone remarked that Akali hand was behind the violence, a devout die-hard Hindu snarled back "Who would set fire to his own house ?” "But the moot question is will Badal live up to the confidence reposed in him by the Punjabis cutting across religion and caste lines?
" Will he be able to deliver or go down in history as a man with a record number of incomplete tenures? Political commentators opine Badal is a changed' man, more decisive, politically more mature and very much in a hurry. His electoral promise to usher in an effective administration like that of Maharaja Ranjit Singh was probably just a vote-catching slogan, but his urge and desire to reach out to the people if Sangat Darshans are any indicator is certainly genuine. Having learnt his lessons from his political adversaries, who, he feels, committed harakiri by distancing themselves away from Janta Janardhan, Badal is all set and determined not only to last a full term but give Akalis an edge on others for all times to come. Q. Were you overwhelmed by the sweeping mandate? A. No, it was always on the cards, crystal clear from the word 'go'. In fact we expected to gain more seats as the disenchantment of the people with the Congress rule or rather misrule was abselute. Q. How are yau going to justify this mandate ? A. By listening to and abiding by the will of the people. Already we have given free power and irrigation to farmers, abolished house tax and trying our utmost to remove irritants which stall industrial growth. Besides we are building 12000 houses for Dalits with a budget of 60 crore, wherea.s the earlier governnrent had spent only 1 crore. We shall also be offering a 'shagan' of Rs. 5100 for the marriage of backward girls. Q. But aren't these only populist measures ? A. No, these are the genuine needs of the people. Farmers are the backbone of our economy and no state can progress 'if its agricultural sector lags behind. Q. What about the drain on the exchequer, won't it make the state economy heavily burdened and bring it to ruin? A. On the contrary, the economy will get a boost. See if you help and encourage hard-working people which all Punjabis are, they are capable of creating real miracles. Q. Do you have any concrete proposals to rejuvenate the ailing education system especially in the'rural areas ? A. yes, we plan to have at least one good quality school in each block. Besides, we will ensure 100% enrolment of teachers and the other staff. Q. Don't you think it's a question of dedication rather than numbers? A. (Smiles)Well dedication is a rare commodity in our nation. Q. At a point when corruption is rampant, don't you feel any talk of a corruption-free regime is an elusive dream, a mirage. A. Sure corruption has spread its tentacles far and wide but we are committed to stem the rot. During the recent wine auction no underhand or shady deal had taken place. Our government will not tolerate corruption and book corrupt officials even if they are at the highest echelon of service. Q. you are being accused of shielding Bikramjit Singh? A. The case against Bikramjit is politically motivated. CBI had already exonerated him. Q. With the new development the centre what is your stand ? A. To ensure that the congress stays out of power. Q. lf the present government offers you certain sops in lieu your party's support, would you accept the arrangement ? A. No way. We are not in the potics of manipulation. We believe healthy democratic functioning. Q. Do you have any political aspirations. I mean, are you interested for any position at the centre, if ally BJP comes to power ? A. I am quite happy in my state, I will be out of 'sync at the Centre. differences with the BJP which also in power in some of the feuding states ? A. Demands like Chandigarh, river water issues etc., figure prominently on our scheme of things. We have no differences with the BJP, for .BJP endorses the concept of autonomy. Moreover our demands are just." Q. lf-you were granted. one wish what would you like to do about Punjab? A. Undo the damage done by previous government and by making Punjab touch the zenith of development. I would like to make it model, an exemplary case which other states could follow. Q. How are you going to face .Sikh youth, languishing in jails since it was you who .had given the call for Dharam yudh ? A. Dharam yudh was a battle for justice not a religious war-cry. I am responsible for those who fought on democratic lines but not answerable to the misled youth who adopted the path of violence. Q. It is being said that you had sent some Akali Jathas during the Babri Masjid demolition. Do you agree ? A. Never. lt's a fabrication .I respect all religions. Q. There are about 300 Sant deras in Punjab following ritualistic ways of worshipping which infact goes against the tenets of Sikhism. Will you take any action ? A. As the representative of a secular government I have no business to interfere in religious matters. 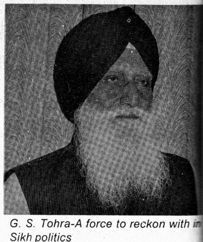 Religious bodies like SGPC, should look into it and take necessary steps, if required. Q. Are you a religious person yourself ? A. 'Certainly. But let's not confuse religion with communalism. The two are poles apart. Q. What is your government's top priority ? A. Good governance, rule of law, put succinctly all that a well-run government is obliged to do. Q, your detractors dismiss your Sangat darshans as yet another political gimmick. Any comments? A. My critics can say what suits them. I am only concerned about the people and their sufferings. I want to feel the pulse of the people. Every family in Punjab has a problem. But thanks to red-tapeism and the bureaucratic hurdles, they can't seek redressal at the available platforms. I want to put an end to this. Q. How does it feel to be the most powerful man in the state ? A. I am a very humble man, just an instrument, a via-media for them, to reach out to their real needs and aspirations. Q. ls it then a case of 'Uneasy lies the head'? A. No doubt it's a responsible job, entailing long hours of work. Though I am not reveling in the glory of being the CM, it is extremely gratifying that I am dispensing my duties to the best of my ability. Q. Who is your political heir? A. It's for the public to decide. Q. Aren't you promoting your son and nephew for the job ? A. (Fuming.) I didn't make them MPs and MLAs. My son fought against the establishment and won when the Congress party was in power. So who am I to promote them? Q. But didn't they win because they are related to you ? A. So what ? lf a lawyer's son becomes a lawyer no one objects. When a doctor's son steps into hiS shoes, no ruckus is raised, but when a politician's son enters political arena, all hell breaks loose. My grandfather was in politics and so was my father. My son and nephew are well-qualified and deserving candidates. Q. you mean it's only logical ? Q. How long have you been married ? A. (He is taken aback and retorts): How is that relevant ? Q. I just want to know the kind of influence your wife had in your life? A. She has certainly helped me. (Goes back in time with a nostalgic look and adds as an after-thought) After one month of our marriage I was in jail. Q. It's being rumoured that during the elections you were a media favourite. But now the press has trained its guns on you. Do you agree? A. Press is free to write whatever it feels strongly about. I respect the press and believe in the freedom of expression. Q. Are you wary of women journalists ? A. How can I be ? In life there is no escaping or denying women. Q. Would you care to recount the most beautiful moment in your life ? A. lf this is the charm that works while wooing voters, the mammoth verdict in his favour is hardly surprising.